The day has finally come where I upgraded my camera to a Canon 5D! I've been using my dear the canon rebel for almost two years now and felt as though the photography on this blog needed a little refresher. Ever since I got this baby on Saturday I have been experimenting non-stop and have been letting my creativity flow. Can't wait to start shooting outfits with my new little friend. And for those of you who are wondering, I shoot with a 50mm 1.8 lens. Eeep! You look so sweet! Lovely shorts. Congratulations on the new camera, always so exciting. Your outfit is absolutely adorable! Get it, girl! Lovely, lovely! Oh my gosh, I am incredibly jealous! What camera were you using before I see here? You look like MaryAnne from Gilligans Island. So cute! That's so exciting-- Can't wait to see your beautiful new photos! 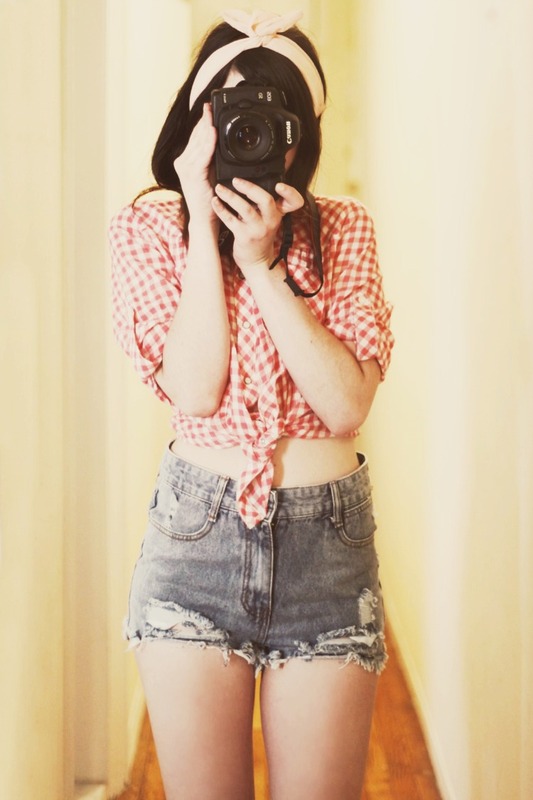 Love your gingham top, too! Congratulations on your new camera! Love your outfit as well! so cute! 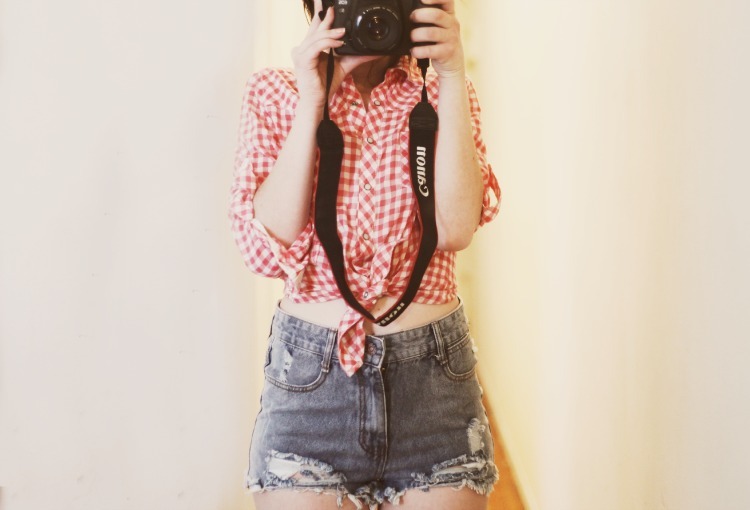 love gingham button-ups for the summer. es, Videos, Loll Pictures, Hot Pictures, Funny Pictures, Funny Videos, Hot Videos, Entertainment Pictures, Entertainment Articles, Entertainment News, Internet Classified Sites, Buying and Selling Classified Sites, Online Jobs, Online Marketing and all Current Affairs News updates. I adore your blog, I'm so happy that I can be here. Is this a 5D Mark II ?